1950's vintage, never before worn, Yellow Gold Ring horizontally prong set with a Blue Zircon; streamlined Art Moderne motif; a real find! 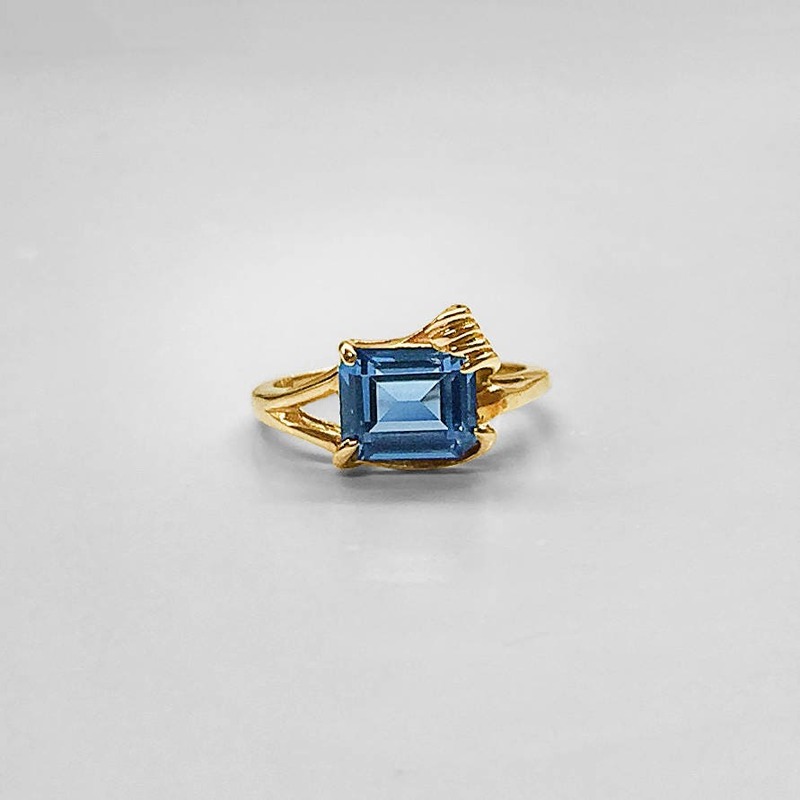 This 1950's vintage ring has never been worn. It, and a few others have been residing in the back of a bank vault for decades. 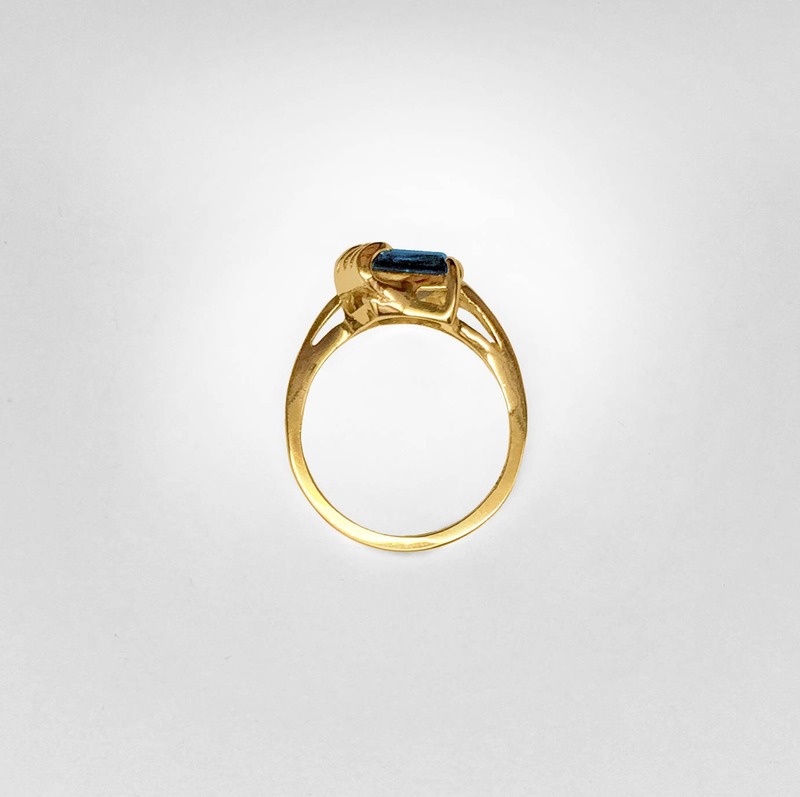 It was made in Buffalo, NY in the late 1950's of 10K solid yellow gold and prong set with a beautiful synthetic blue zircon which measures 8 x 6.6 millimeters rectangular. The stone is step cut. 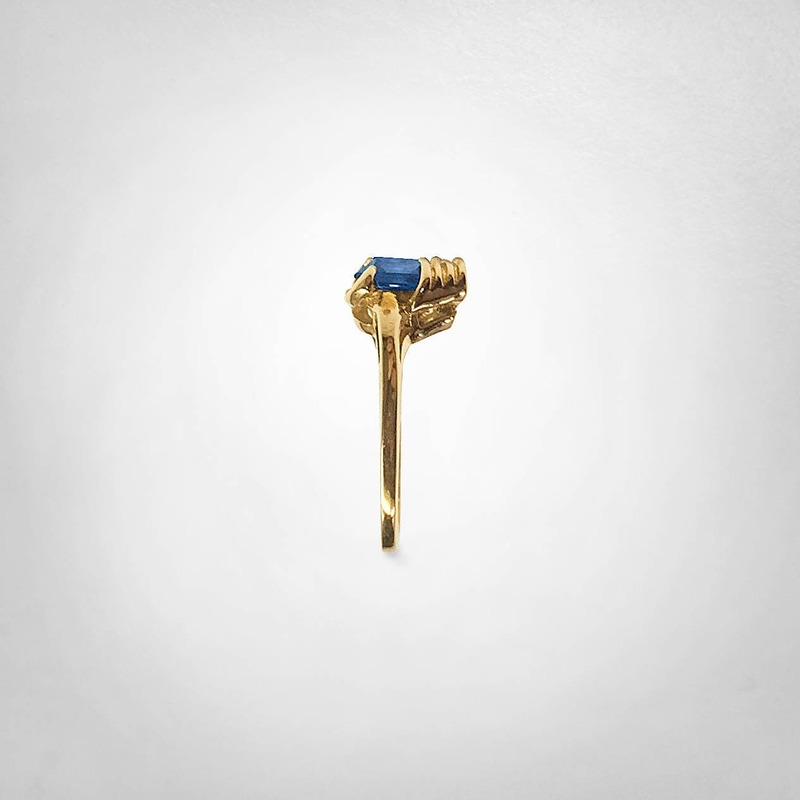 The streamlined Art Moderne motif of this ring makes it a real find! The ring is currently a size 5 3/4 but could be sized easily to fit your finger.